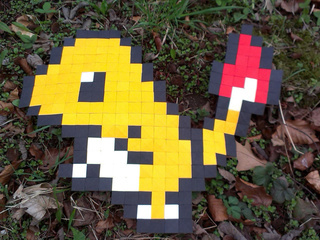 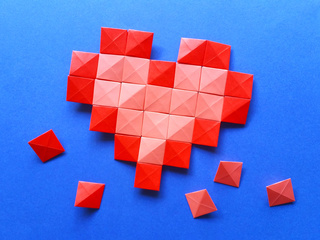 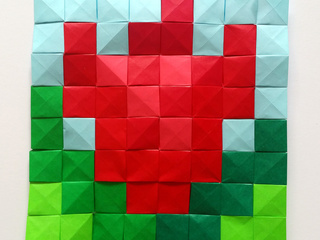 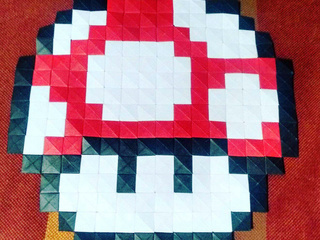 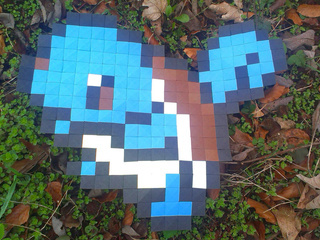 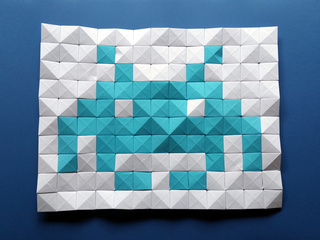 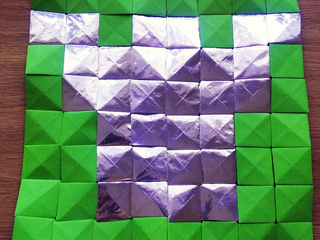 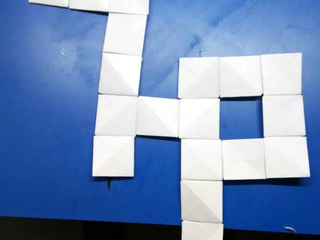 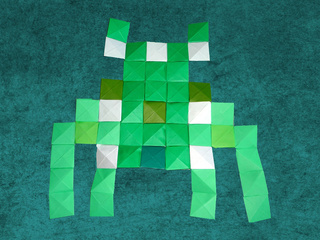 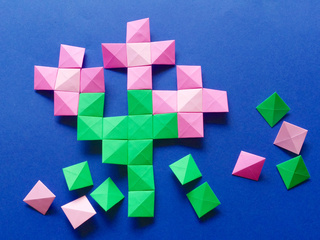 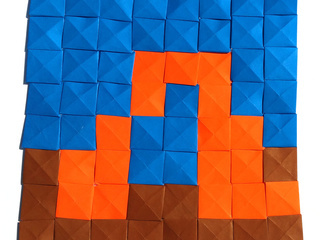 Origami pixels video tutorial: learn how to make cool origami mosaics. 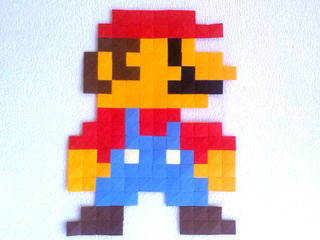 It's fun and easy. 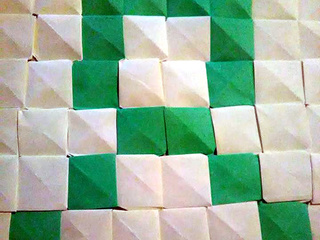 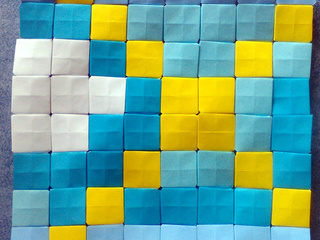 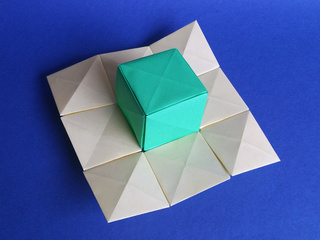 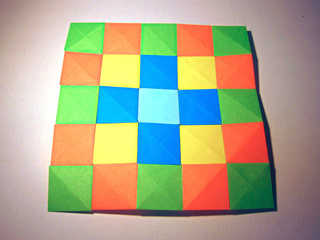 New triangular origami trixels tutorial (compatible with the square pixels). 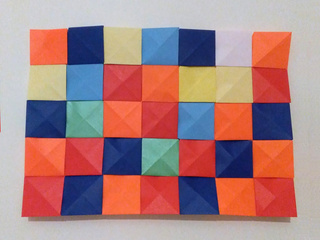 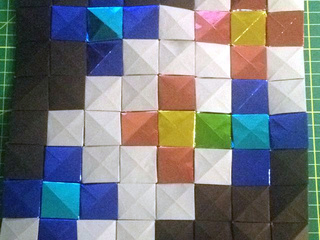 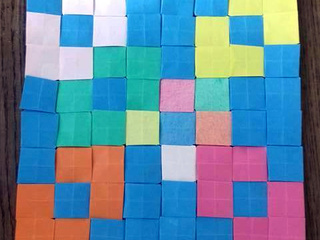 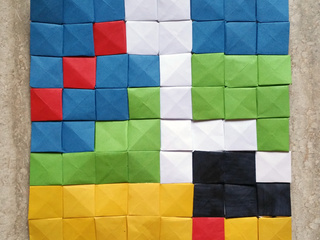 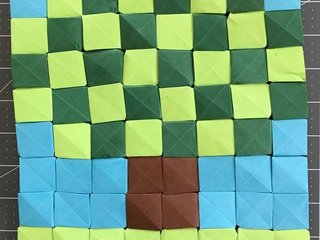 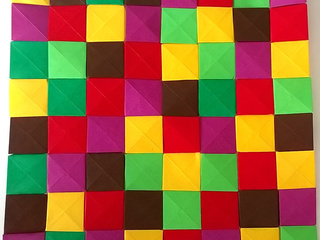 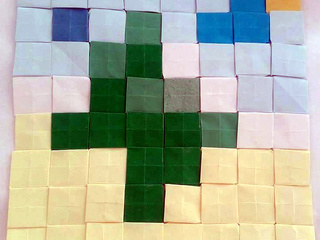 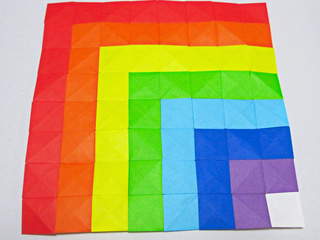 Making origami pixels from squares of paper, and joining them just by folding (no glue or tape needed) to create colorful origami mosaics is easy, fun, relaxing, and very creative. 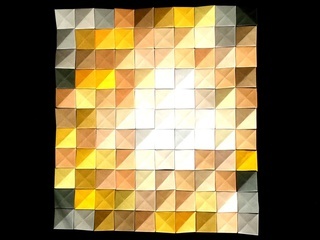 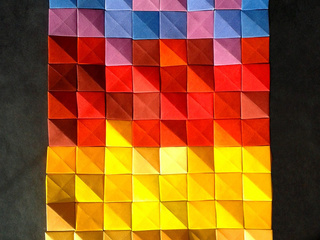 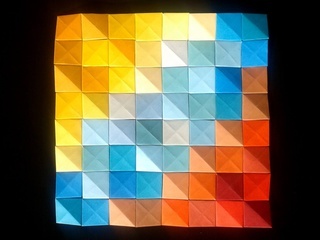 This page presents beautiful origami mosaics created by folders all over the world. 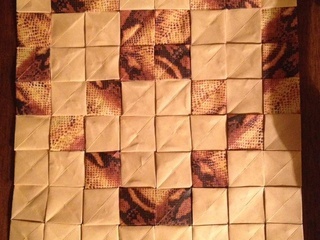 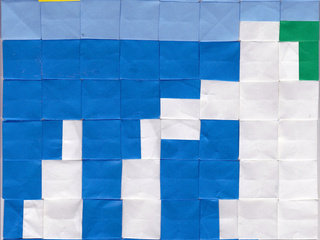 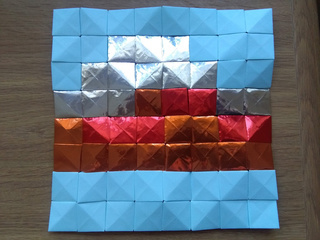 If you create an origami mosaic using my origami pixels technique, please send me pictures (at stephane@origamipixels.com or through Facebook or Twitter) so that I can display them on this web site. 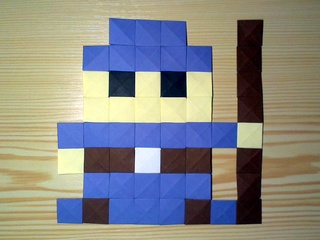 I hope origami pixels will soon invade the world. 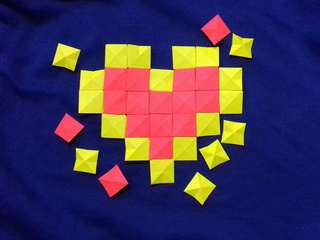 :-) Thank you very much! 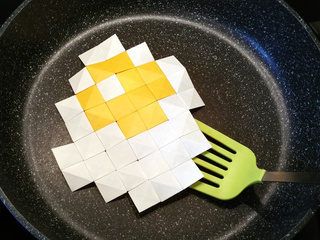 Sunny side up origami pixels are over easy to make! 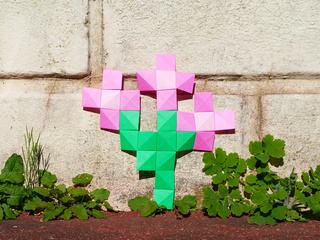 Low-tech augmented reality: origami pixels flowers! 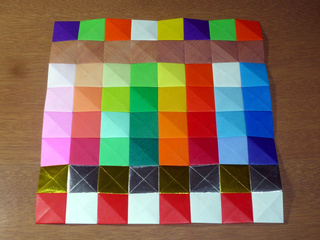 Origami Pixels is a new fun and easy way to make origami tiles that can be joined by folding (no cut, no glue, not tape) to compose beautiful origami mosaics. 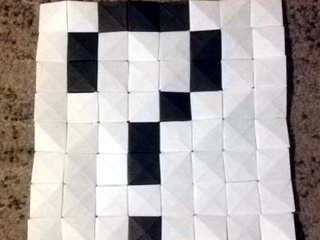 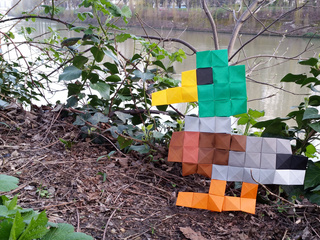 This type of origami pixels was invented by 2017 by Stéphane Gigandet, and other types have been designed before. 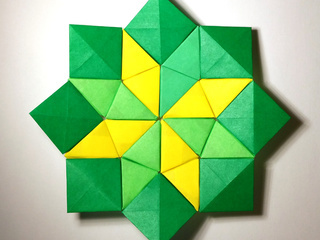 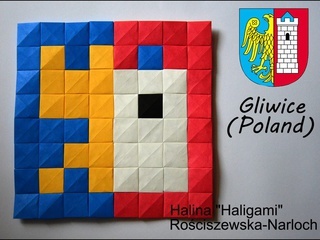 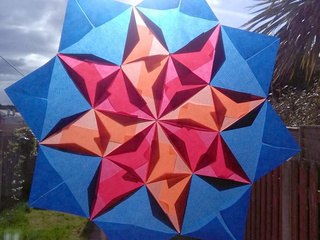 The Origami Pixel Unit page tells more about the history of origami pixels and shows how to fold them and join them. 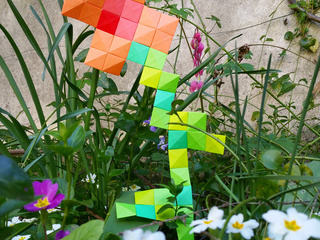 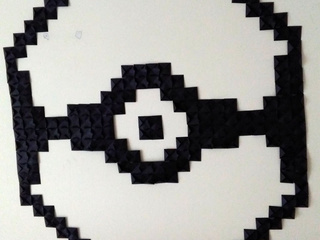 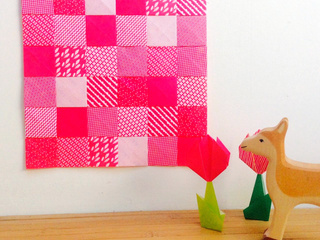 Make beautiful origami mosaics with origami pixels. 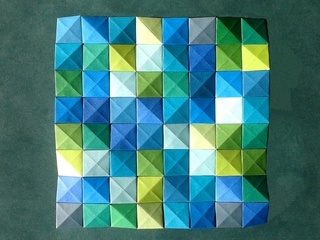 It's fun, easy and relaxing. 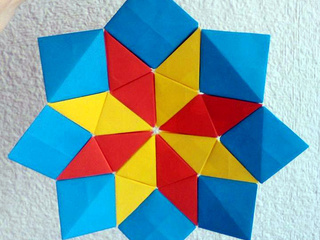 No cuts, no glue, no tape, just easy folding! 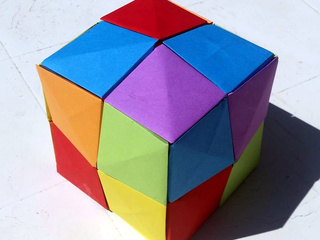 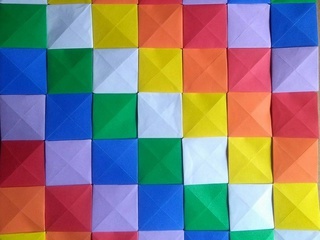 It is very easy and quick to fold squares of paper into colorful origami pixels. 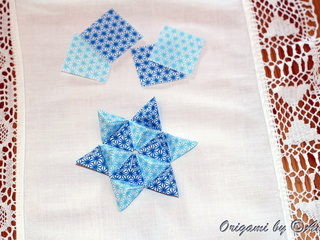 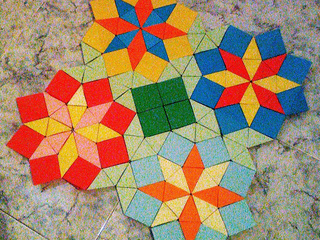 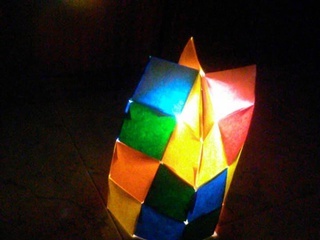 You can then draw with them, and join them by folding them on their back to create beautiful origami mosaics. 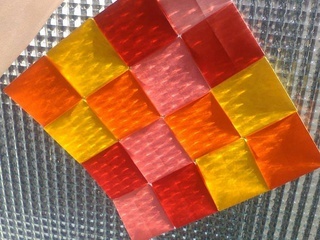 It's fun and easy! 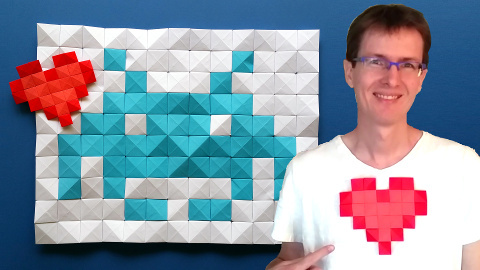 Video demo and tutorial: Origami Mosaics with Origami Pixels You can also combine the square pixels with triangular trixels tiles: Origami Trixels tutorial. 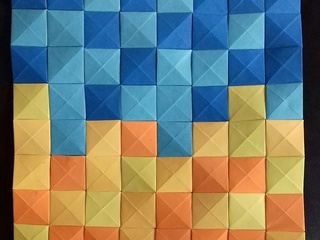 Join me on the Origami Pixels Facebook page and follow @Origami_Pixels on Twitter to experiment with origami pixels and share your paper mosaics!